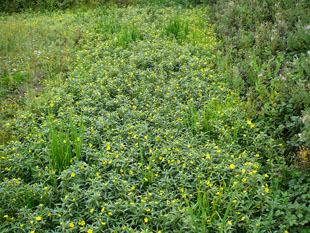 crowds out native plants and clogs waterways. 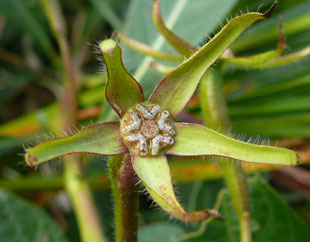 garden plant. 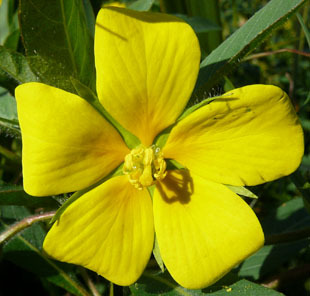 It is classed as an Invasive Alien. 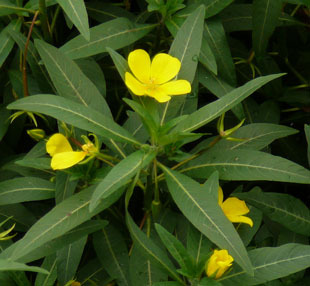 Flowers overtop the leaves and are up to 5cm across. 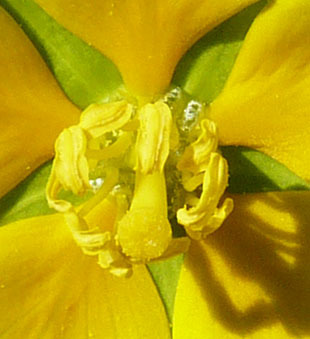 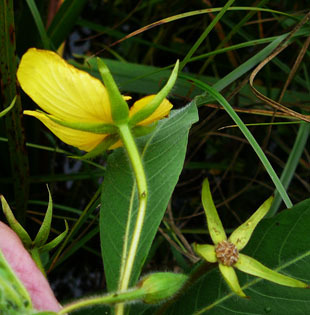 There are 5 bright yellow petals and 5 thin, pointed sepals. 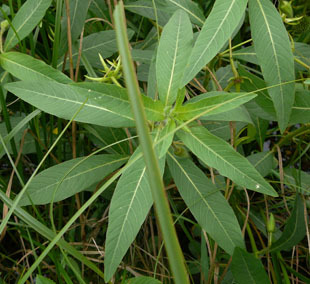 Aerial leaves are green and lanceolate - rather like willowherb. 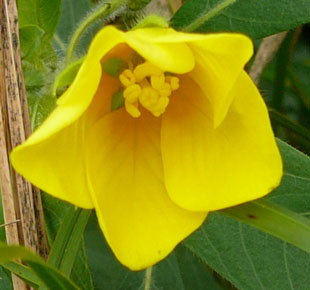 classed as an alien, invasive and noxious weed. 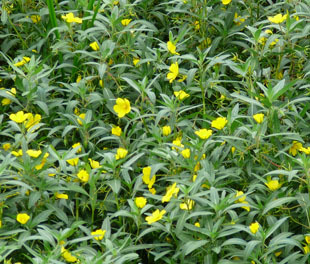 and a Wanted Poster for Creeping Water Primrose.